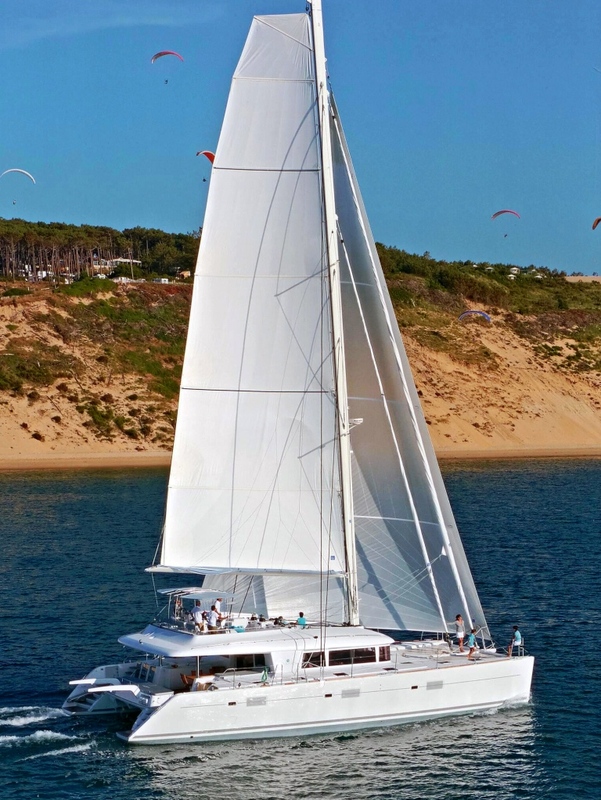 Luxury sailing catamaran SHIDA is a Lagoon 620, measuring 18.90m (62’) launched in 2010. Yacht SHIDA has a luxurious interior and a vast amount of outdoor space including an expansive fly bridge area. 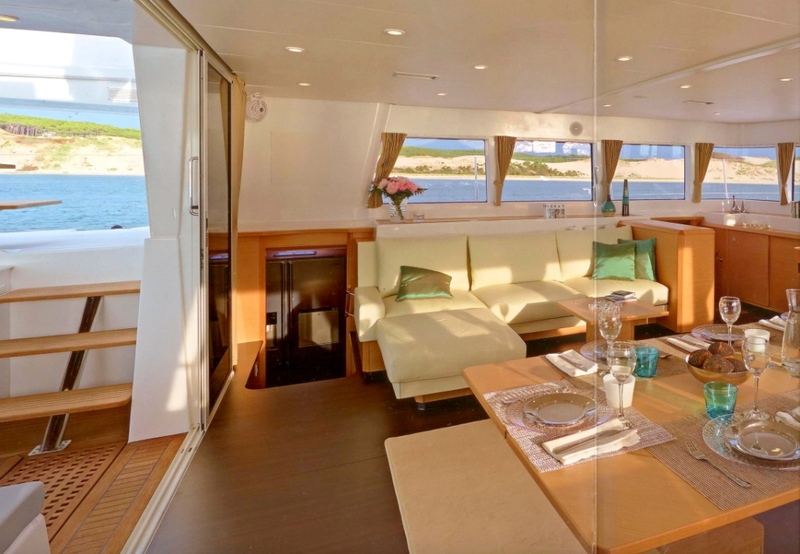 She is able to accommodate up to 8 guests in 4 well appointed double cabins. 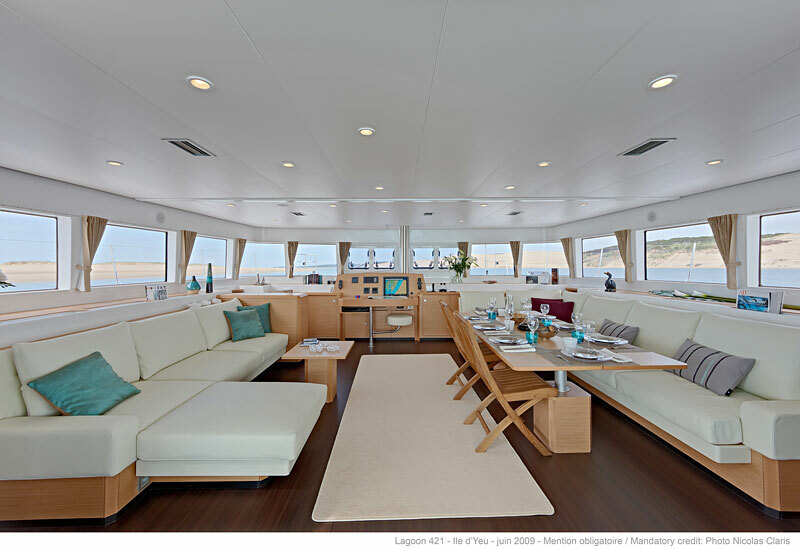 Catamaran SHIDA has a modern and spacious open plan interior with white leather sofas, light Oak Alpi and Wenge woodwork with huge windows enabling a great panoramic view. 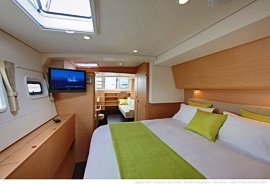 Crewed charter catamaran SHIDA is able to accommodate up to 8 guests in 4 luxurious double cabins located below decks, each with its own flat screen colour TV and ensuite facilities. 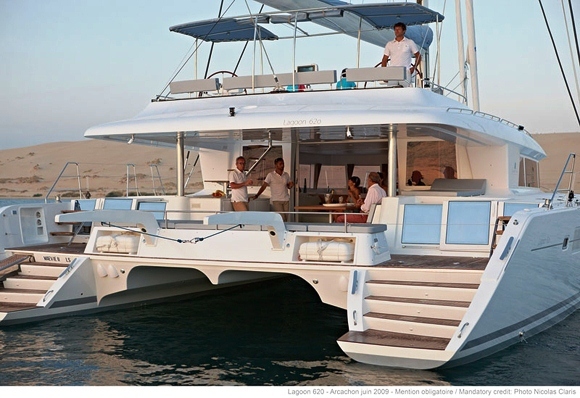 A great feature of the Lagoon 62 is the amount of outdoor space available. 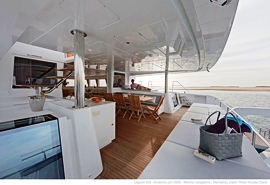 Sailing yacht SHIDA’s aft deck is vast and offers a dining and lounge area as well as built in sun-pads. The aft deck is protected from the weather by a hard top bimini. 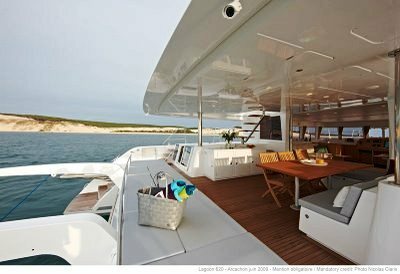 For easy access to the water, each hull has wide steps leading from the aft deck to the ocean where there is a small platform and ladders. 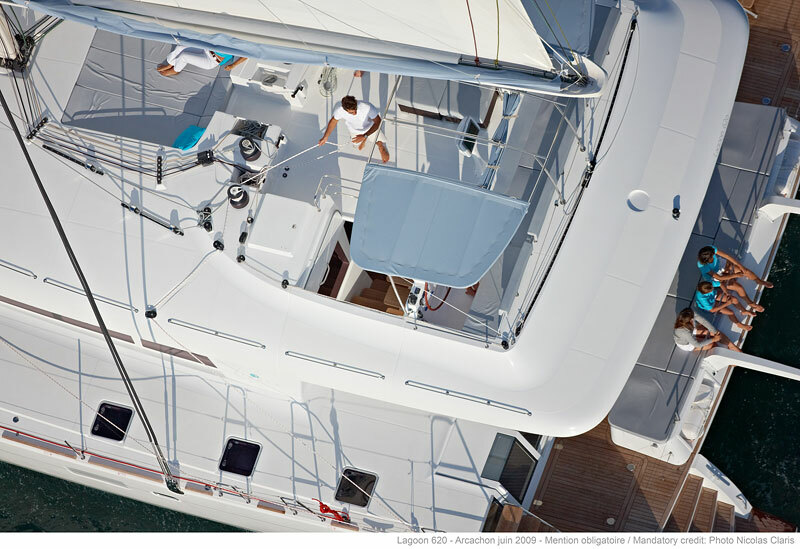 The expansive fly bridge area offers a bimini, plenty of seating and more sun-pads. 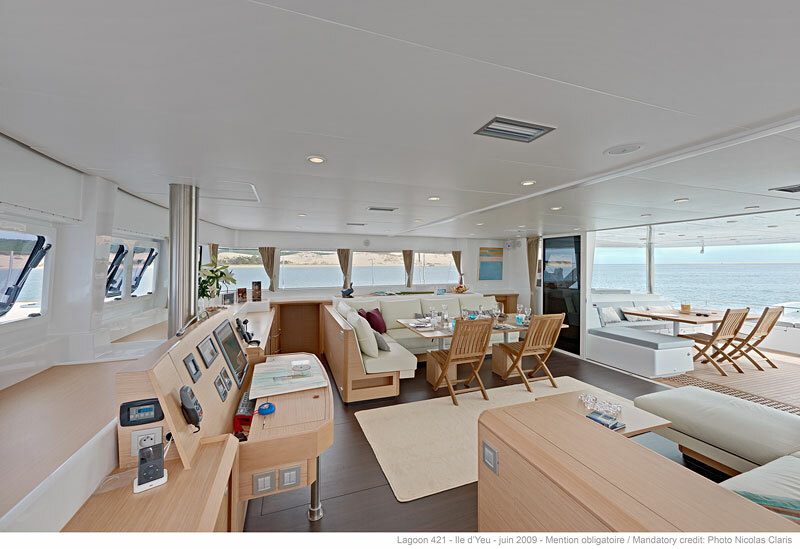 This amazing fly bridge area is large and a great place to spend time while underway. There is a further lounging area on the foredeck where guests can relax on the huge trampolines. 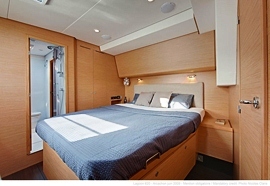 Crewed Cat SHIDA is based in Rome, Italy year round and has a permanent crew of 2 onboard. 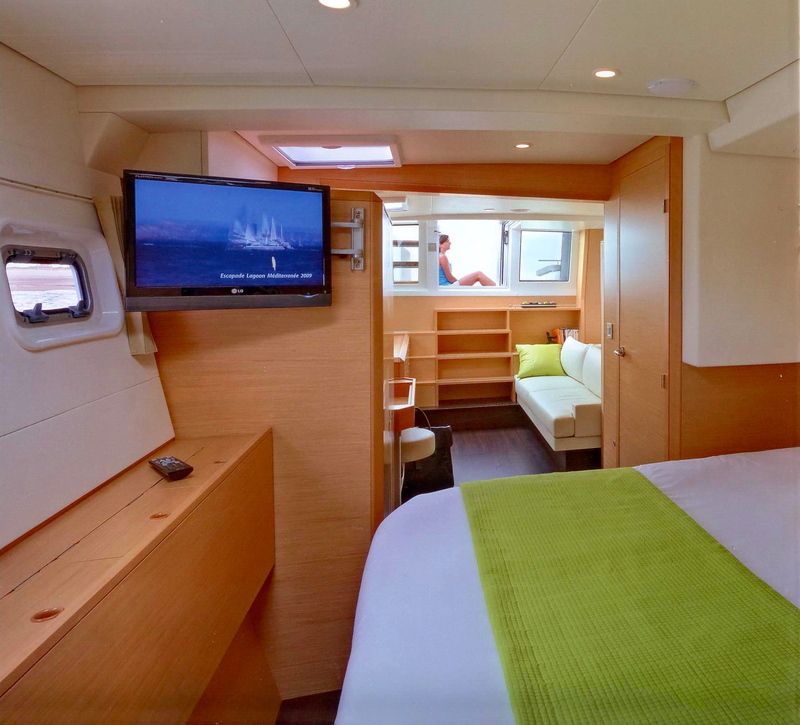 Crewed charter catamaran SHIDA can accommodate up to 8 guests in 4 comfortable double cabins with ensuite facilities. Lagoon 620 Catamaran SHIDA has the following extras onboard: A zodiac tender 4,20 with suzuki 40 cv, Communications include Gps . radar 48 nm, 3 autopilots (1 portable). bowthrust . 3 control stations (2 external + 1 internal). 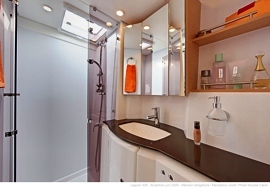 Audio Visual Equipment and Deck Facilities include 5 flat screen Tv Color each will sky decoder, stercam in every room.